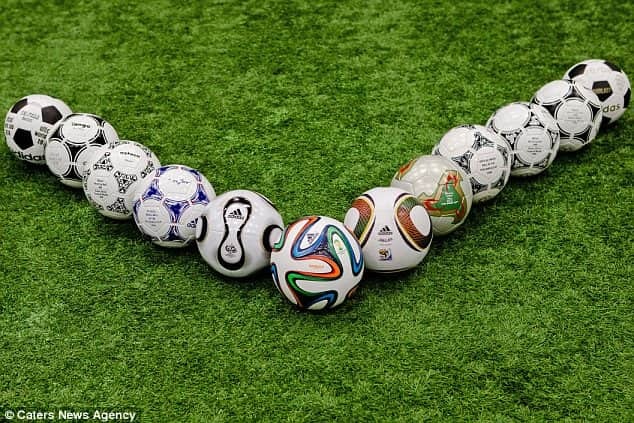 An incredible array of different footballs show off the history of balls used during the FIFA World cup. 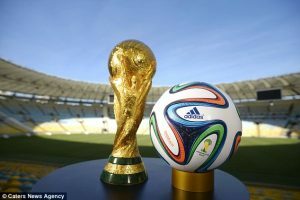 The development, testing and completion of this year’s FIFA World Cup football is among the balls which will join the line up of 12 special balls which have all been used in the beautiful game. The ‘Brazuca’ – a slang term used for Brazil or Brazilian – is the twelfth ball made by official manufacturer Adidas. The iconic Telstar was Adidas’ first World Cup ball, made of 32 separate panels to give it the roundest sphere for its time. 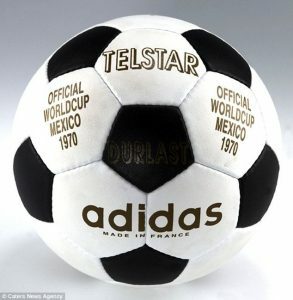 The World Cup in Mexico in 1970 was the first FIFA World Cup to be televised around the globe, so, Adidas added 12 black pentagonal panels to make it more visible on black and white television and named it after the Telstar satellite. Read more….